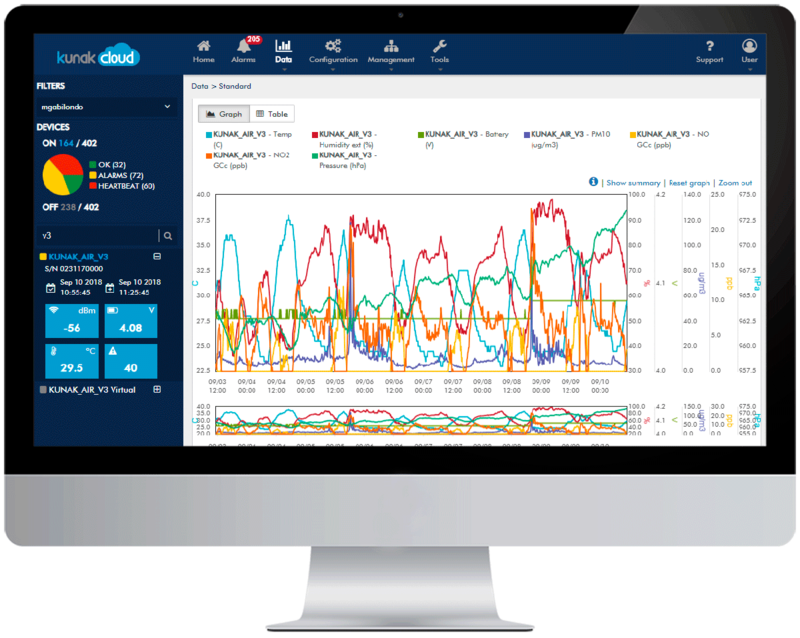 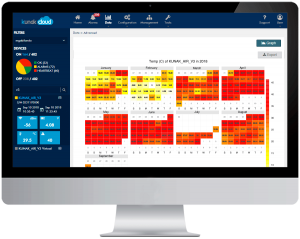 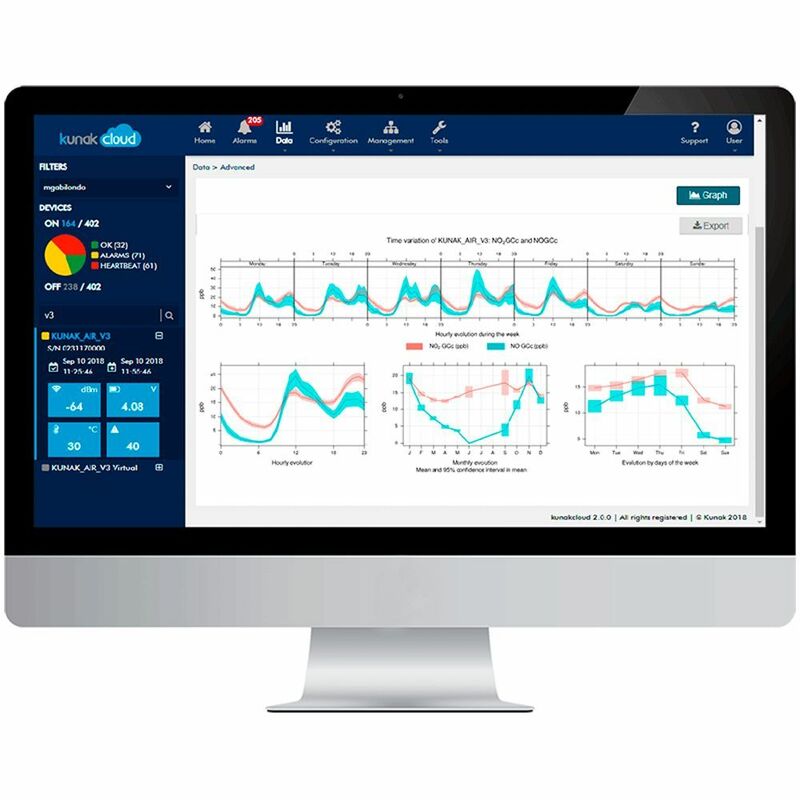 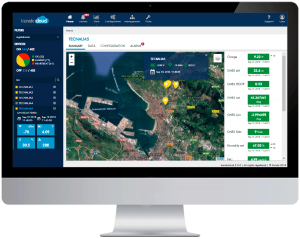 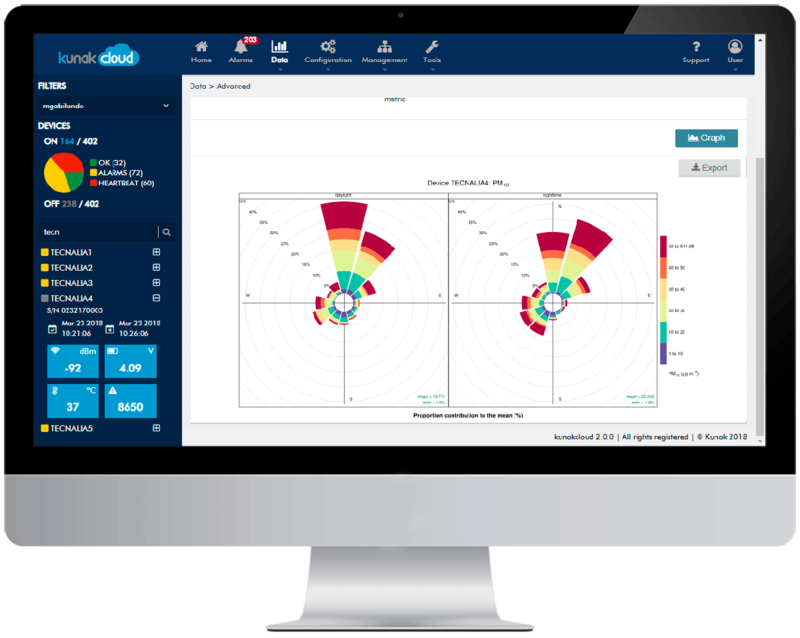 Kunak AIR Cloud is a web platform on the cloud, for the advanced analysis of data for air quality, noise and other environmental factors, and the remote configuration and management of the devices. It allows the storage, processing, analysis and exporting of the data collected by any device or sensor, offering detailed information and advanced processing, autonomy, mobility, scalability and a simple remote calibration tool. 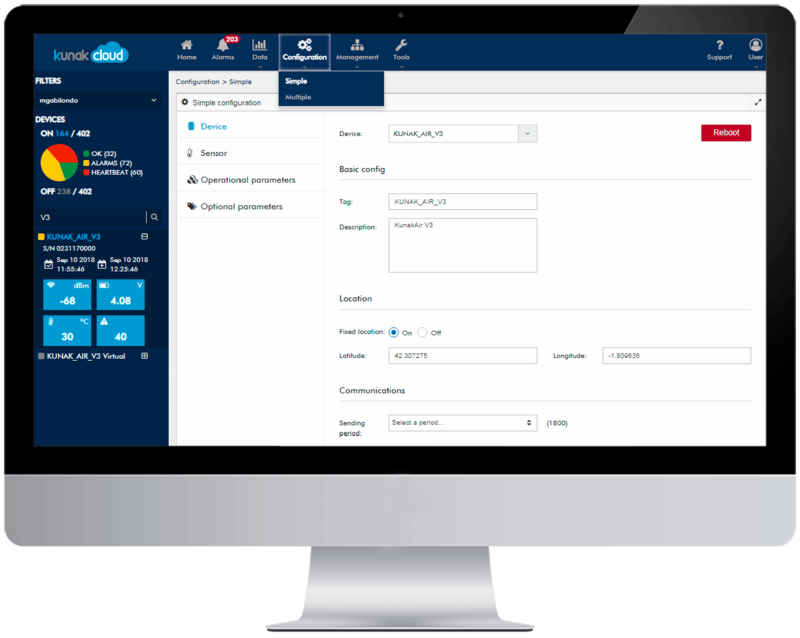 Kunak API allows the integration of all collected information onto other websites or platforms, for example, the displaying of relevant data on a council website. 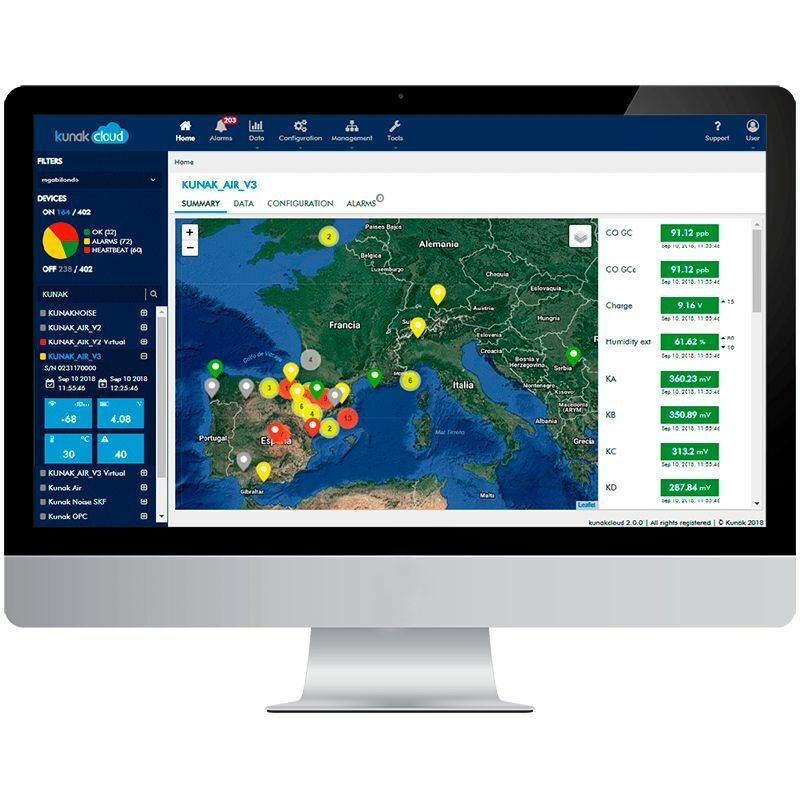 There is an APP version for Movil Kunak Watcher.